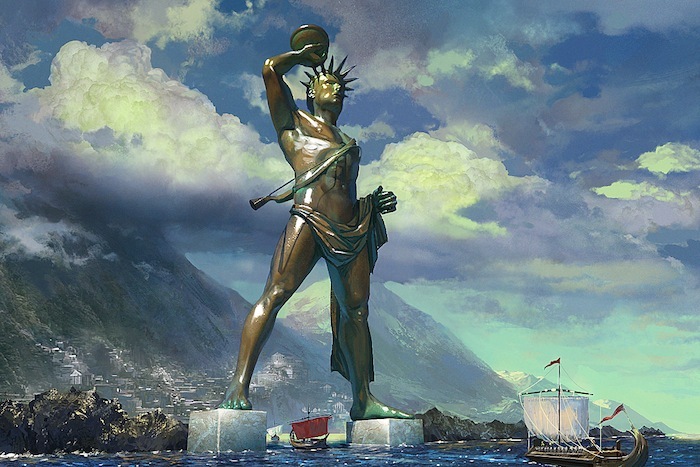 Colossus of Rhodes was incredibly colossal. This radiant statue, which was 100 feet tall, was of the sun god Helios. The people of Rhodes believed Helios drove away the petrified enemy. They used the armor the attackers left behind to build the majestic monument. It stood triumphantly for 56 years until it descended into the enormous ocean. Wonderfully, the thumb was found and lots of travelers came to see the digit. It was so immense that a grown man couldn’t stretch his arms around the thumb. Colossus of Rhodes was a truly grand wonder. You rock Gabe a really good job!